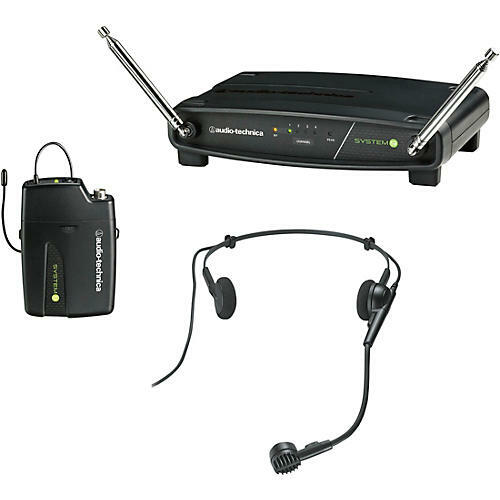 This System 9 configuration includes the ATW-R900a receiver and a headworn microphone/transmitter. The ATW-R900a is a non-diversity, single-channel receiver with advanced dipole antenna design for extended operating range, which improves operation by providing a ground element in addition to the usual signal element. The ATW-R900a also offers volume control along with AF Peak, RF and Power indicator lights. Line of sight:	200 ft.